We adore this handsome, detached and double fronted freehold restaurant and bar with a trendy one bedroom apartment above. Set in an unrivalled and prominent, seafront position in Hastings Old Town its easy to see why there was never an empty table in this Grade II listed gem. 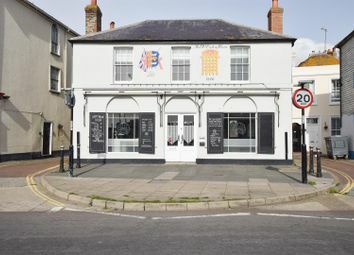 The ground floor of this building has A3 commercial use and was previously a popular oyster bar, it has a full commercial kitchen with appliances and a bar area. There is also planning permission to extend the restaurant on to the first floor if required. Styled by A local interior designer this is an exceptional opportunity to purchase a commercial space and a ready made business. There is seating inside for approximately 28 to dine and space for approximately 40 to dine outside with a gorgeous southerly facing aspect. Accessed via a private entrance in Shell Lane the apartment here enjoys a roomy entrance hall and landing with a bright living space opening on to the kitchen. There is a double bedroom and a fitted shower room. From the front of the property there are brilliant views across the Stade to Hastings beach and the English Channel. 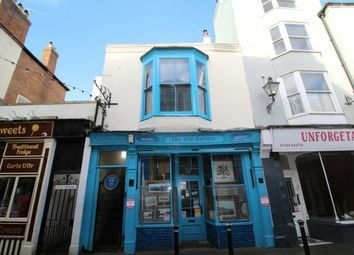 A freehold shop with living accommodation within the heart of hastings old town. This is a rare and fantastic opportunity for the right buyer to acquire a building which is arranged over four floors. The property offers many original features and comprises of a shop with a cellar room below. The upper floors offer bright and airy living accommodation offering a living area, open plan kitchen/dining room, a bathroom/WC and a mezzanine level bedroom. There is a log burner in the living room and the windows to front over look the beautiful cobbled street. We suggest internal viewings are considered essential to fully appreciate all that is on offer. Awaiting EPC. Wyatt Hughes are delighted to bring to the market a stunning hall floor garden apartment enjoying generous proportions and a number of period features. Set within this sought after residential location the property benefits from attractive views over Gensing Gardens and also boasts one double bedroom, newly fitted kitchen, newly installed bathroom/w/c and entrance hall. A particular feature of the property is a substantial private rear garden, the garden also has concrete base in place for those who may be looking to create a home office. Forming part of a managed period building the apartment will be sold with a share of the freehold. Ideally located you are within easy reach of the mainline railway station as well as the array of eateries and independent shops St Leonards has to offer. Please contact Wyatt Hughes for further information and viewings. 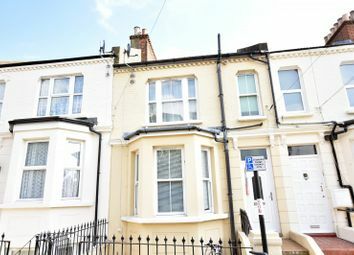 High ceilings, fireplace, floorboards, large bay window enjoying glorious views over the park. Newly installed with range of working surfaces having cupboards and drawers under, integrated gas hob, integrated electric oven, Belfast sink with mixer taps over, integrated washing machine, tiled floor, double glazed windows and door onto rear garden. Floorboards, large bay window with outlook over private garden. Newly installed suite comprising bath with mixer taps and shower attachment over, shower screen, pedestal wash hand basin, low level w/c, wash hand basin. Of a good size mainly laid to lawn with area of patio also, the current owners have had a concrete base constructed recently which would suit the installation of a home office or similar. We have been verbally advised that the property will be sold with a new 999 year lease, a 20% share of the freehold and the service charge is £900 per year. Exceptional apartment situated in the heart of the ever-popular St Leonards on sea, finished to an unrivalled standard and presented in immaculate condition with grand proportions. Wyatt Hughes are delighted to bring to the market a stunning first floor apartment with impressive views over the picturesque Gensing Gardens. Enjoying the square footage normally associated with a large two bedroom apartment this one bedroom mansion apartment benefits from numerous outstanding period features throughout such as 11ft ceilings, cornicing and fireplaces. The property also boasts substantial living room with sunny aspect park views, kitchen, modern bathroom/w/c and entrance hall. The property additionally benefits from a new gas boiler with radiators. To the outside there is a communal garden shared with one other property. Ideally located on this highly sought after residential street you are within easy reach of the mainline railway station as well as the many independent shops and eateries St Leonards has to offer. To be sold with a newly extended lease and no onward chain viewing is highly recommended. 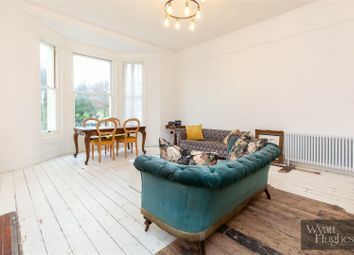 Stripped floorboards, fireplace, cornicing, picture rail, bay window with sunny aspect with impressive views over Gensing Gardens. Comprising range of working surfaces with cupboards and drawers under also cupboards over, one and a half drainer sink unit with mixer taps over, space for cooker, picture rail, cornicing, space for fridge freezer, newly fitted wall mounted gas boiler, window with outlook to rear. Two built in storage cupboards, floorboards, picture rail, fireplace, bay window with outlook to rear of the the property. White suite comprising p-shaped bath with shower attachment over, tiled floors, wash hand basin with storage beneath. To the outside there is an area of garden which is shared with one other property. 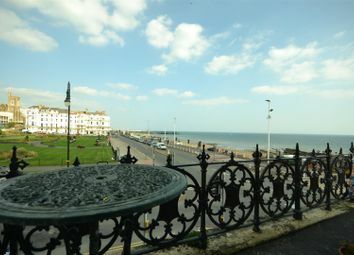 Wyatt Hughes are delighted to bring to the market a first floor apartment with wrap around balcony enjoying some of the finest views available in St Leonards. The property boasts a magnificent double aspect living room with both square and sea views, double bedroom with sea views, kitchen, bathroom/w/c and entrance hall. This unique property does require updating however does offer a great deal of potential for any new owner and benefits from some impressive character features. The property additionally benefits from a gas boiler with radiators. 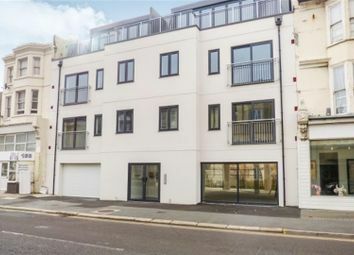 Located in the heart of St Leonards you are within easy reach of the many independent shops and eateries on offer as well as the award wining Hastings Pier. 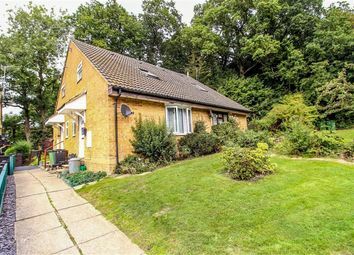 To be sold with a share of the freehold and no onward chain viewing is highly recommended. Impressive double aspect living room offering views of Warrior Square, Hasting Pier and the English Channel, cornicing, ceiling rose, high ceilings, door to wrap around balcony. Working surfaces cupboards and drawers under also cupboards over, space for cooker, space for fridge freezer, wall mounted gas boiler. Large bay window with sea views, cornicing, ceiling rose. Suite comprising pannelled with mixer taps and shower attachment over, pedestal wash hand basin, low level w/c, doors to utility space. 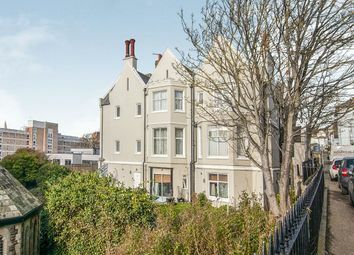 Forming part of this attractive residence, this fantastic apartment sprawls the whole first floor and boasts an impressive living space with a full height bay window looking over St.Leonards. 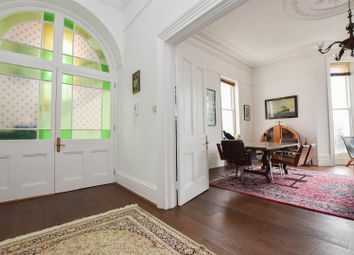 Even as you approach the entrance the double doors with stained glass the traditional ambience is evident with an abundance of period features nestled inside, including cornicing and fireplaces. Throughout, the accommodation here has been tastefully decorated creating a well put together and calming space. The generous bedroom measures 17'6 x 15'3 and is served by a newly fitted bathroom with storage above. Being sold with a share of freehold and a new 999 year lease a property of this superiority is a complete rarity and can not be missed. Investment opportunity pcm Estate Agents are delighted to offer fro sale an opportunity to secure this commercial premises consisting of a ground floor shop, first and second floor one bed maisonette and a double garage to the rear with the benefit of the basement of the building also. Each unit is currently let and we are advised by the owner producing an income of approximately £13,000 per annum. 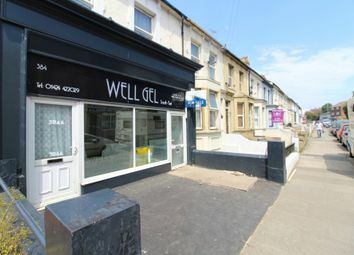 This investment opportunity is to be sold with tenants in situ to any incoming purchaser. The property offers a superb opportunity for those looking to invest in the Ore Village area of the town with its local shopping facilities, local schools and bus routes to Hastings town centre with its comprehensive range of shopping, sporting, recreational facilities, mainline railway station, seafront and promenade. Call now for further information or to arrange your inspection via the owners sole agents on . Currently let to a mechanics business at a rent of £tbc which also includes the let of the large basement area to the building. 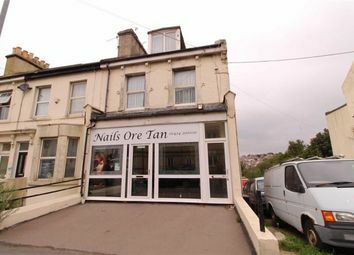 Situated in the village of Ore we are offering this semi detached commercial premises with a large shop front, basement rooms, independent office to the rear and a one bedroom flat above. 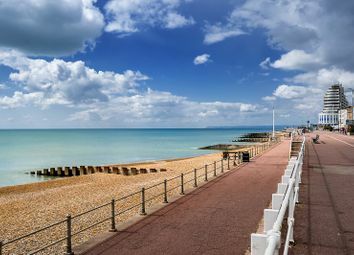 Ore Village is a busy residential and commercial town just a short distance from Hastings Town Centre. 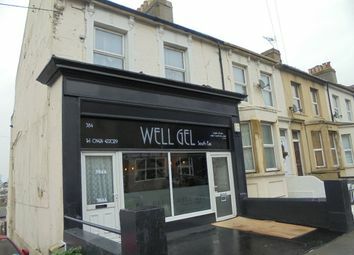 An opportunity to acquire this commercial property with basement with good sized 1 bedroom separate flat above. The commercial aspect of this building houses a street level entrance `shop` split over two floors. Suitable for a number of uses. 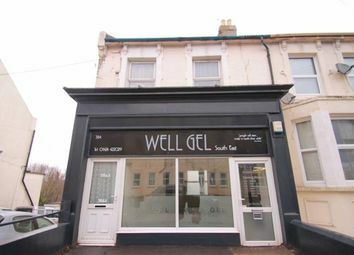 Offers in excess of £200,000 pcm Estate Agents are delighted to present to the market an opportunity to secure this semi detached commercial premises comprising a large shop front, basement rooms, independent office to the rear plus a one bedroom flat above. 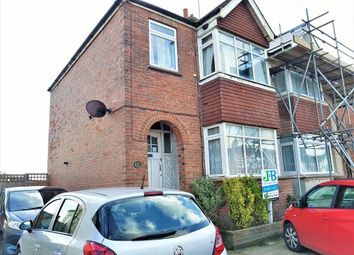 Located in this popular and convenient location in Ore Village close to local amenties, bus routes and roads leading to Hastings Town Centre with its shopping centre, mainline railway station, seafront and promenade. The property also benefits from double glazing, gas central heating and a rear courtyard with rear access. Call us now on to book your immediate viewing on this ideal investment opportunity. Double glazed bay window to the rear, door to hallway. This room is currently being used as a treatment room. Double glazed door opening to balcony. Kitchen area which includes a work surface housing an inset stainless steel sink with mixer tap and single drainer, cupboards over and under, power points, double glazed door opening to a private paved area boarded by a wooden fence with rear access. Door which leads to a low flush wc and wash hand basin. Access to the flat is via a double glazed front door from the street level. Door to cloakroom, stairs to kitchen. Low flush wc, heated towel rail, ceiling mounted extractor fan. Double glazed window to rear aspect, marble effect roll edged work surfaces which includes a ceramic sink with mixer tap and single drainer, built in stainless steel electric oven with four ring hob, extractor fan over, cupboards below and over work surfaces, power points, space for further appliance. First floor landing, access to loft. Two double glazed windows to front aspect, radiator, power points. Fully tiled shower cubicle, corner pedestal wash hand basin with tiled splashback. top floor penthouse apartment with parking space. The penthouse apartments enjoy a fully fitted kitchen with bi-fold doors to the spacious balcony, a spacious double bedroom and a bathroom/WC. 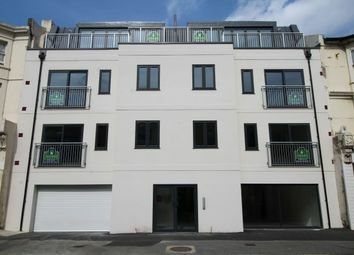 This exciting selection of one and two bed roomed apartments are situated in Hastings Town Centre priced from £145,000. The two blocks are four storeys high and are situated close to all amenities, bus routes and the beautiful Alexandra Park. There are also parking spaces available for an additional cost (unless the penthouse apartments). More information is held within the office so please call or come in for further details. A one bedroom penthouse Apartment having an open plan living area with modern fitted kitchen and a modern bathroom. Additionally the property benefits from a balcony and will be sold with a new lease. Located within a newly built block. This stunning apartment benefits from a private entrance and a tranquil courtyard at the rear. 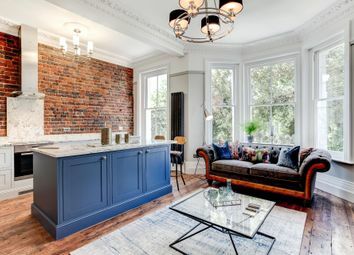 Sat on the lower floor of this period building, the open plan living accommodation is beautifully presented and creates a homely yet contemporary space. The kitchen area is well equipped with contemporary units and breakfast bar. The double bedroom looks out over the courtyard at the rear and there is also a separate bathroom which is fully tiled with a shower over the bath and w/c. Being sold with a share of freehold and long lease this fab apartment is not one to be missed. Pcm Estate Agents are delighted to offer for sale an opportunity to secure this one bedroom, freehold four square house situated in this highly sought after West St Leonard's location with benefits including electric heater, double glazing, modern kitchen, modern shower room and wc, allocated off-road car parking space and garden to the front of the property. Early viewing is considered essential for those seeking either their first home, somewhere to down size to a freehold property or a potential investment. 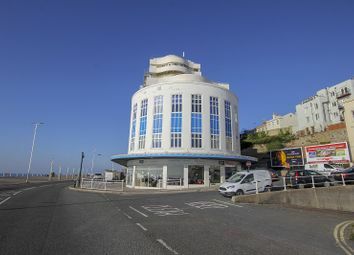 The property is situated within reach of bus routes to Hastings town centre with it's comprehensive range of shopping, sporting, recreational facilities, mainline railway station, seafront and promenade. Call now on to book your immediate viewing to avoid disappointment. M&W are pleased to present this 1 bedroom apartment in the ever popular Marine Court. Marine Court boasts some of the best views St Leonards can offer over the English Channel. The building is currently in the final stages of restoration to bring it back to its former glory. Sold chain free. Bright one bedroom flat with rear garden - This flat is going to make a super first purchase or investment. With its own private entrance and a good sized entrance hall, with space for a desk for those who work from home, a spacious lounge with bay window allowing for plenty of natural light, an open plan kitchen / dining room, ideal for entertaining, a double bedroom and a wonderful rear courtyard garden, this flat must be viewed to be appreciated. 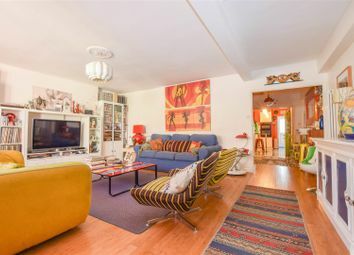 A spacious first floor apartment with communal garden. 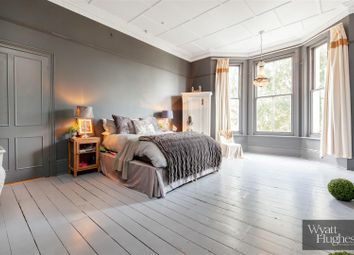 This well presented apartment forms a part of this beautiful converted property. The accommodation comprises an entrance hall, a spacious living room/dining room with a bay window and views to the sea and the church. There is a double bedroom, kitchen, shower room and a separate WC. Externally there are communal gardens which are mainly laid to lawn. EPC grade E.